Moving home in the East London area? House or Flat? Searching for a good house mover nearby? Moving house in East London can be stressful enough. However with professional help and thorough preparation, Casey’s Removals dedicated home moving teams ensure the whole process runs smoothly providing you with peace of mind. We know that each move is as unique as you are. Regardless if you’re moving to a new property across East London, relocating to the other end of the country or maybe even moving abroad, you are able to trust in Casey’s Removals skilled and committed staff in order to take care of every aspect of your move. We’ve taken care of house removals for over 14 years therefore we know just how stressful moving home can be. From your survey, throughout the planning procedure and right through to the move itself, our professionally qualified team will be there to see to it that the whole of your relocation performs easily. Regardless of what your requirements are we will ensure a totally flexible moving service that helps you to choose a move to meet your individual budget and timescale. Our experience has taught us that each and every customer comes with their own criteria. Our range of services from packing and storage to insurance cover is there in order to make the entire process of moving residential property run as smoothly and efficiently as possible for you . Our removal service starts by recognising that preparation is vital and that your specific needs should be recognised. Preparation starts with a pre-move survey by one of Casey’s Removal’s estimators. Our will survey your property and its contents, the general size of your move, the assets needed in terms of men & vehicles and talk you through the relocating process. A precise quotation will be supplied at no cost. For those of you that find daytime visits difficult to accommodate we can arrange a convenient evening or weekend time that suits you. Just call the number below to arrange a free moving quote. If you would prefer to get a quote online, click here to fill out our online moving quote form. We had a couple of quotes from other removal companies which were cheaper but we far preferred the no nonsense, fully inclusive quote we received immediately. We were not disappointed. Two packers arrived the day before our move to pack our 4 bed house and were done within 3 hours, leaving our clothes and bedding. On the day of the move, uniformed very capable staff turned up to move us. Casey’s only use their own staff, not contractors so we felt in safe hands. We were packed in the van by 1pm but our purchase didn’t complete until 4.30 when a secondary unit that had just finished a job turned up to help – so we had 8 guys move us into our new house in less than 2 hours. Great service and would thoroughly recommend. plus not one thing broken. Are You Searching for “removals and storage near me”? Over the 14 years that Casey’s Removals has been operating as a professional moving and removal firm, we have moved thousands of home owners. Each and everyone had specific needs and requirements unique to them, and them alone. This is why we provide comprehensive residential home relocation services, as you can see below. We understand that one of the least enjoyable aspects of a house move can be that of packing of your possessions. We offer a range of packing and unpacking services to match your individual requirements. Our fully trained moving and packing staff are experts in specialised packing techniques. We pack everything from electrical goods, cutlery and crockery, antiques to mirrors and glassware. All of our packing products are made from the best quality materials and are specially manufactured to secure your items during the course of your move. Do you want to save time and effort? Then our Full Packing Service is for you! Our specialist crews will pack everything in your home taking special care of all your fragile and unusual items. In the event that you want to do some of the packing but leave your more fragile items, such as kitchen tableware, glasses, mirrors, paintings etc, to us, that’s fine. Just let us know that you would like use our Partial Packing Service. If your budget is tight or you just prefer to pack yourself, we can help you there too. 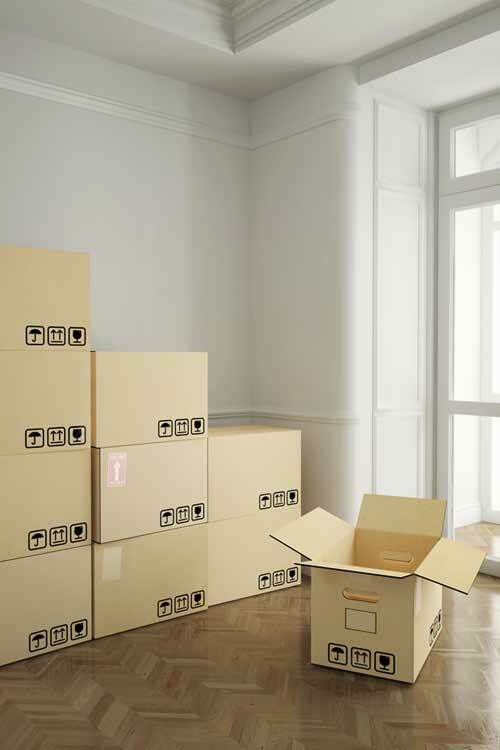 We can supply you with all the packing and moving materials that you will need. From moving boxes of different sizes to packing paper, packing tape to tape guns, all of which will be delivered to your door. 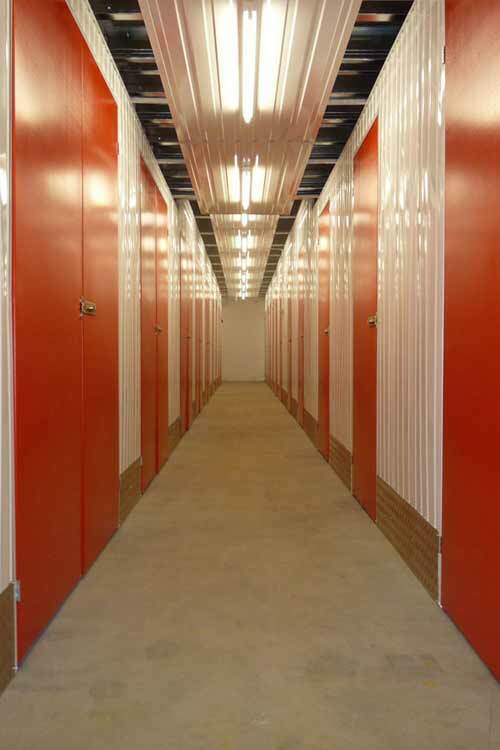 Short-term storage is a great solution for short term needs. There may only be days or weeks between moving out of one property and into a new one. Storage for that interim period may be the only solution where, in order to sell your property, you need to be out by a certain date. Many people, instead of moving home, look to renovate or remodel their existing property. Living in a house undergoing such work can be tiresome and unpleasant and again short-term storage offers an ideal solution. Long-term storage often benefits people that are making a move or relocation to another country because of work and as a consequence need to store home furniture or other items for the duration of their absence. Long-term storage can be a solution for people who have relocated to a smaller sized house or flat and would prefer to keep those possessions that won’t now fit in their new property. 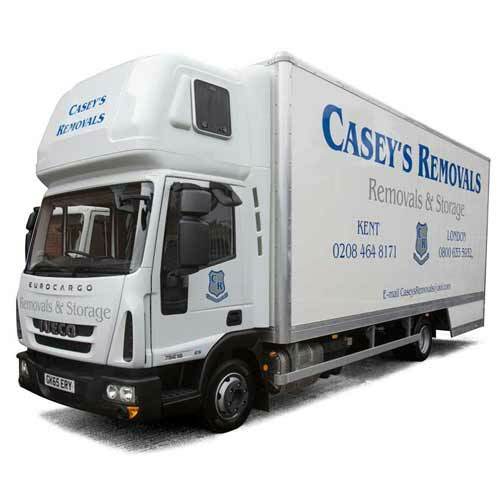 Casey’s Removals are not only domestic Removers & Storers. We also provide a piano removal service second to none. 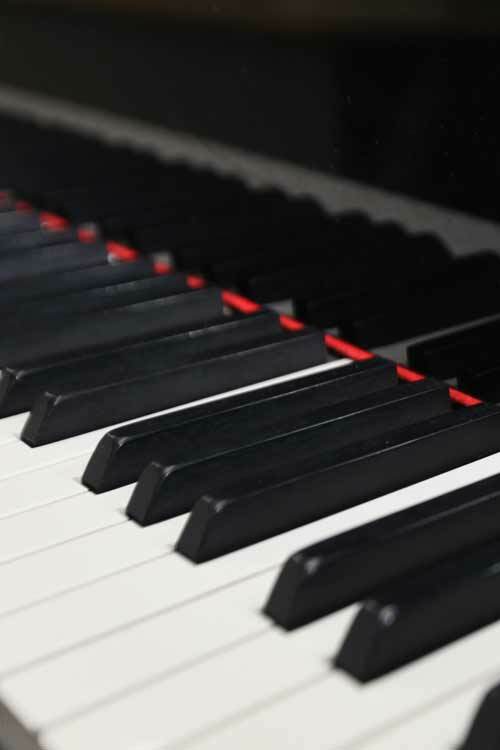 We have the appropriate equipment as well as skills to move your precious piano in a risk-free way, regardless of whether that be an Upright or Grand Piano. We have over 14 years experience helping customers with their piano moving requirements. Irrespective whether your piano is on the 5th floor or in the basement, our team can move it. 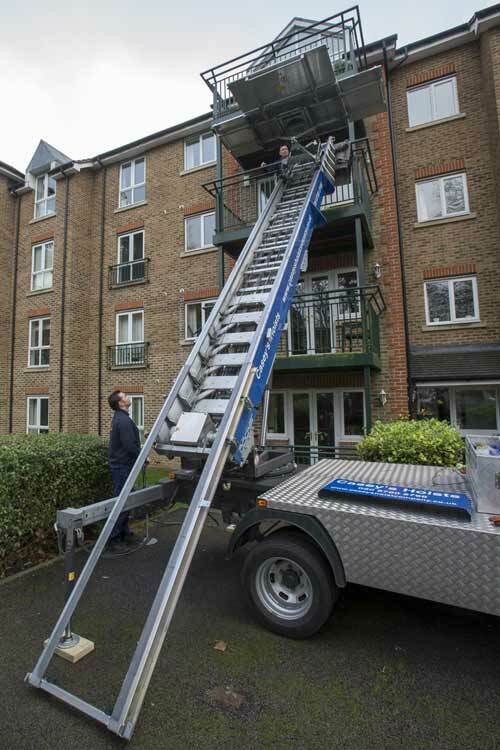 Where access is very difficult and awkward, we are able to utilise our furniture hoist. Our piano movers are fully trained and insured in order to manage all types of piano moves and are are insured against any damage that may occur to your instrument. Being a top piano removal company in the South East, we provide services to all areas all over London, Kent and Surrey. If you are looking out for a reliable Piano moving company then call our team. Piano moving is not like home furniture moving as it requires expertise, the correct equipment and a company that knows what it is doing! Need to Move Large Heavy Furniture Through a Window or Balcony? Have Awkward or Difficult Access : Narrow Stairs or Small Lift? Aside from the professional services you might often associate with home moving our firm in addition provide, either combined with other services or as a standalone service, a furniture platform hoist rental service. As residential properties have become much smaller, having narrow doorways etc. or many of us live in high rise apartments and flats, it eventually becomes increasingly tricky to move large and heavy items, such as sofas/American Fridge Freezers/display unit etc through the entrance door or even up the stairs. Our Furniture Hoist can easily overcome such issues in a fast and reliable manner. It has the ability to take a maximum weight of 400kg in one lift plus reach up to 24m. We make increasing use of the hoist house and flat moves. There really is no limit to the situations that the hoist can be used in. Businesses such as Landscape Gardening (on roof terraces), Building Contractors, Blind Fitters, Piano Removers, and a lot more find the hoist an ideal solution for their needs. • The furniture hoist includes a trained operator and carries a LOLER certification so as to guarantee safety. Are you moving abroad? For example UK to France, Spain, USA or Australia? Seeking reliable & professional local international movers? Casey’s Removals has moved and relocated many families and individuals from the UK to most countries across the world. We are East London’s leading international removals company, and our aim is your complete satisfaction. One of your biggest considerations when choosing an international removals company to move you overseas is that of attention to detail, reliability and movers that looks after your every need. 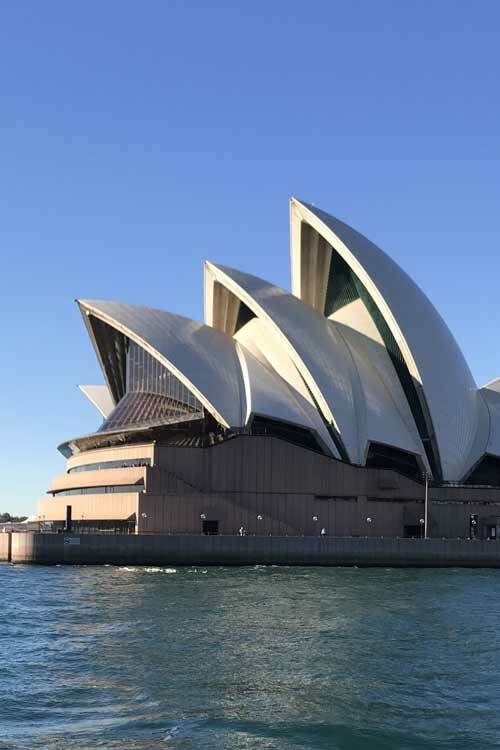 Whether you’re moving from the UK to Australia, moving to the U.S., moving to Canada, moving to New Zealand, Africa, the Far East, Middle East or moving to any destination in the world, our team of professional packers and movers will take care of you from packing your belongings to moving into your new home. Contact us today for a FREE no obligation quote your international move. • We provide a ‘one-stop’ removal service – removals, storage, packing, disposals (licenced), Piano removals and Furniture Hoist Hire. Even if there is something we don’t provide we will attempt to source this for you. • Running a fleet of modern vehicles all crewed by trained home movers. • We are a family run house moving business within the Surrey, Kent and Greater London area. We value our reputation for good service and flexibility, the ability to provide a large range of services, our professional approach and our efforts to constantly do things better. Trying to find For a East London Moving Firm? In case you’re searching for reputable removals companies near East London, why not get in touch with one of our friendly members of staff? We are on hand to assist from 8:30am to 9pm, 7 days-a-week, no matter how big or small your issue or query might appear! We have a simple aim, and that is to provide a house moving service that makes relocating your home as stress free as possible. So, if you are moving home in the East London area contact us NOW on 0208 785 7011 between 8.30 a.m to 9.00 p.m 7 days a week for a FREE no obligation quote to arrange for one of our estimators to visit your home. Want to discover more about East London removals? If so, click here.